Carri Campbell is the brainchild behind her school’s Hot Shots Robotics program, a concept that started three years ago with a vision, strong leadership and seven enthusiastic students, and eventually led to a funding grant to successfully establish robotics in the school. The program has now grown to more than 32 students who professionally compete at a national forum. 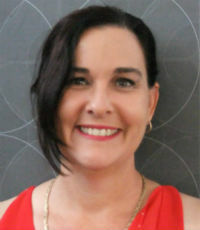 Campbell is also the driver behind Faith Lutheran’s International Women’s Day event, which engages female Year 9 students to prepare and serve a shared meal for Year 10–12 female students, staff and guests. This year, the group participated in a panel discussion surrounding the theme of parity and what this means to women in 2018, which inspired the school’s women and girls to #pressforprogress by motivating and uniting friends, colleagues and communities to think, act and be gender inclusive by challenging stereotypes and bias.